How to move fast, delight customers, and continually innovate to thrive in today’s economy. APIs are much more than system integration technology. They are strategic assets that give companies the ability to adapt to changing customer needs and build breakthrough digital experiences. 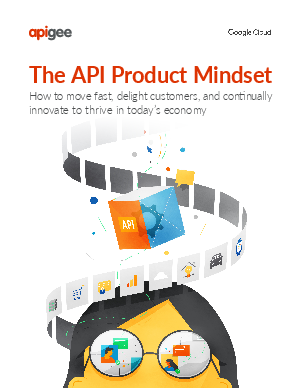 Google’s new eBook, The API Product Mindset, explains why leading companies now manage APIs as full-cycle products rather than one-time IT projects. Learn how to build a customer obsessed API team that delivers world-class developer experiences and ensures your APIs have enduring business value. Read case studies about how AccuWeather and Pitney Bowes have transformed their businesses with an API product mindset and learn from technology leaders at Magazine Luiza, Telestra and West Corp.